These question always takes some thinking about. The fact is there’s no one thing that characterizes network marketing success or, for that matter, what went wrong when we didn’t get it right. Reflecting across, however, I have come up with some secrets for improving the chances of your success in network marketing and with luck – something we all need – flourishing. 1. Why network marketing? In the first instance, you need to define your why, why network marketing? Why did you choose to be involved? What is your purpose? Your driving force should be well stated because, believe me, obstacles will arise. My life as a network marketer, in this incredibly short time, the events and experiences I’ve had, relationship I’ve developed, and personal growth I’ve witnessed in myself and others, seem more appropriate to 50 years or more in a person’s life. 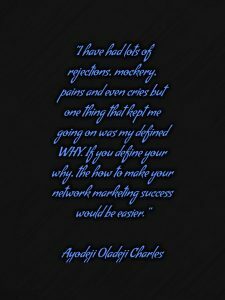 But it wasn’t always like that, I have had lots of rejections, mockery, pains and even cries but one thing that kept me going on was my defined WHY. If you define your why, the how to make your network marketing success would be easier. Before I was able to advance to the first rank in my first network marketing company, I had more than 1000 rejections but I was not bothered because I have a WHY. To get a network marketing success, start with a definite WHY. Network marketing isn’t perfect but it is a better way and also, network marketing isn’t for those who want or need money for food or drink or clothing or something but for the dreamers. 2. Understand marketing : Donald Trump says, “Marketing is about people. It is about understanding what people want, then trying to give it to them at a price they are willing to pay and a price that will provide you with an acceptable profit.” Yes, marketing is about targeting. It is about strategically choosing which customers you want to try to satisfy. 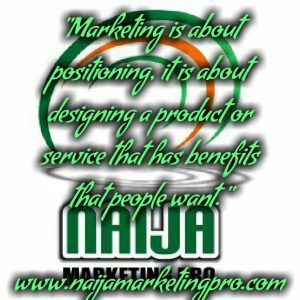 Marketing is about positioning, it is about designing a product or service that has benefits that people want. Marketing is also about advertising and pricing and promoting and distributing and other marketing programs. But, foremost, it is about people and targeting and positioning. Without knowing to whom you want to sell and what you want to give them, you really can’t know how to promote or market effectively. Now, ask yourself these questions, what do my customers want from my product or service? Am I targeting the right customers? What is the unique benefit of my product or service that my customers can’t get elsewhere? If you can answer these questions, I will see you at the top but if you can not yet answer it, please, read on. 3. Network marketing isn’t a quick scheme to riches and it will never be but there’s has been some quick network marketing success stories but ask these success achievers and they will tell you that they outworked other people and if you will like to have such kind of story, you must be willing to put in the needed work and also, you must be coachable. Don’t be like them, they will register today and expect to be a millionaire overnight, it cannot happen and if it happens, duplication will be far from it and if you cannot duplicate, then, you have gotten yourself another job, so, why network marketing then? 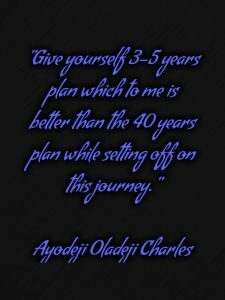 Give yourself 3-5 years plan which to me is better than the 40 years plan while setting off on this journey. 4. 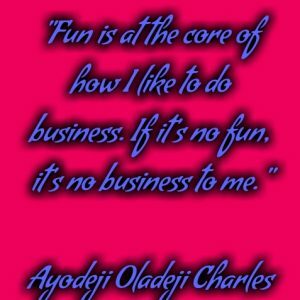 If you don’t enjoy it don’t do it : Fun is at the core of how I like to do business. If it’s no fun, it’s no business to me. Starting any venture, network marketing inclusive takes huge amounts of hard work and time, so you had better enjoy doing it. When I started my first network marketing business, to be candid, I had no plan or strategy. I simply wanted to be involved in something people would enjoy, something that will help others succeed, have fun doing it and at the end of the day prayed that it would make enough to pay the bills. For me, building a network marketing business is all about doing something to be proud of, working as a team, bringing talented, goal getters together and creating something I called ‘value’ that’s going to make a real difference to other people’s lives. If you set out to make a real difference as a network marketer and achieves that objective, you will be able to pay the bills and have a network marketing success guaranteed. 5. Network marketing is a profession like other professional works like medicine, mechanic, tailoring etc. 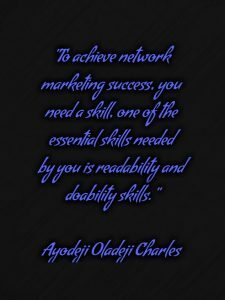 To achieve network marketing success, you need a skill, one of the essential skills needed by you is readability and doability skills. These are the skills that requires you to do more than just read this post but apply. Self development doesn’t work but action. If you read all the posts in the world and you do nothing, to be sincere with you, you will get nothing. So, treat it as a profession and your network marketing success is certain. 6. 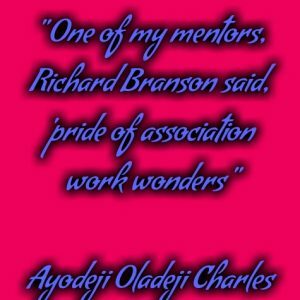 You need a team : One of my mentors, Richard Branson said, ‘pride of association work wonders, ‘ businesses are nothing more than a group of people, and they are by far and away your biggest assets. In fact, network marketing is people’s business and in the majority of network marketing businesses, your people are your product. For me, my mentor told me, ‘there’s nothing sadder than hearing someone being apologetic about the place where they are working. When people are proud to be associated with their company, it generates a special level of advocacy and dedication that is a hug differentiator in a world full of mediocrity and indifference.’ What more can I say? It is team work that makes the dream work. While the vast majority of the people involved in network marketing fail because they don’t speak with enough people, success through numbers is only half true. Prospecting is a numbers game to this extent : if you don’t speak to enough people, you can’t possibly win! Yet, there are other, all important aspects to prospecting. How good are you at listening for what is important or missing in that person’s life? Lead by listening… Network marketing success is about committing to the success of other people – to the same extent that they are willing to commit to their own success. That’s where the power of connections and possibilities in network marketing lies. Successful networking distributor must be a person who has highly developed listening skills. 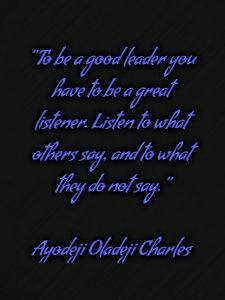 To be a good leader you have to be a great listener. Listen to what others say, and to what they do not say. Listening for what is important to that person and what’s missing in his or her life. Listening for an opportunity to provide something of value to that person. To contribute. Make a difference. Listening is the key! Get out there, listen to people, listen to your prospect. Listen to what the world is calling for. Listen to yourself and to how others are listening to you. Listen to what’s missing. Listen and fine tune your actions in each of those areas. Listen your way to success. 8. Be visible : A good leader doesn’t get stuck behind a desk. 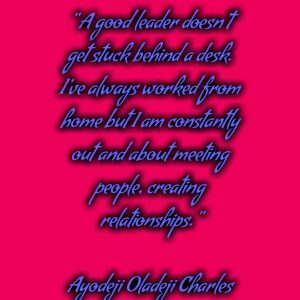 I’ve always worked from home but I am constantly out and about meeting people, creating relationships. Set a goal with your team players and set out to crush it first. Talk to your team players at every opportunity, motivate them, invite them to your company events and trainings, listen to what they tell you, good and bad, and act on it. Be actively engaged in recruiting and prospecting – keeping it proactive, responsive and friendly. 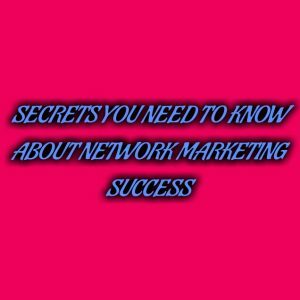 Oh yes: what is the secret to network marketing success? I still have to answer that question as there’s no secret but you are the secret. So, if you don’t survive, just remember that the majority of new entrants into network marketing businesses doesn’t make it and that some of the best lessons are usually learned from failure. And like the old song says, ‘Just pick yourself up, dust yourself off and start all over again’ and I will see you at the top. « THE ONLY SKILL I NEED TO SUCCEED IN NETWORK MARKETING.